One does not write an operating system and fail to pick up a little wisdom in the process, particularly when that operating system becomes the property of Microsoft Corporation. Tim Paterson, who has changed jobs and companies fairly often in the past few years, is satisfied with his position at present. He's at Seattle Computer, a company that made its name in the S-100 market and has since developed its own microcomputer--the Gazelle. It's been almost a year since he quit Microsoft. His experiences constructing an operating system that eventually would be central to IBM's Personal Computer and many other computers is quite a story. Seen and Not Seen. Paterson looks good. He wears faded jeans. He has a dark beard and moustache, and he often breaks into a mischievous grin. A terrific programmer and hardware engineer, at twenty-six Paterson is typically innocent-looking. He and his kind are the backbone of computer companies. There is no shortage of business people and production people in the computer industry. There are only a few terrific programmers. Everyone else is replaceable. Yet, in a big company, programmers are sometimes the least known, least appreciated employees. "With all the code being written out there, who gets the credit? People like Bill Gates get it all and he hasn't written anything in years," says Paterson. Paterson has been a pawn, a very valuable pawn, in a gigantic game of corporate chess. He has been moved around the board and asked to perform numerous tasks, some of which he'd like to forget. Like any good pawn, he's been relatively straightforward and dependable. But deep down, he's always wanted to be his own master, to call his own moves. "My dad was an electrical engineer and when I went to school it was the first thing I tried," Paterson says. In high school, Paterson took a semester of Fortran. He worked with a 7400, one of the TTL series of small logic chips. He didn't learn good textbook design from classes. "I learned it by reading and playing with it. I got a lot of exposure to electronics stuff at home." It was as a student at Seattle's University of Washington that Paterson first encountered personal computers. In early 1976, his roommate bought an IMSAI 8080. "He provided the cash. I selected and maintained it," recalls Paterson. "It had a 4K memory board with the 8080 chip and no I/O devices. You could play a few stupid games like 'chase the bit,' which was entertaining for fifteen minutes at a time." Days of Wire and Solder. Later that year, Paterson got a job as a technician at a Seattle-area retail computer store. There he was an eyewitness to those early days when the only way to own a microcomputer was to buy components and assemble it yourself. He's not kidding when he says, "Life begins with a disk drive." With his university courses and practical experience in the retail store, Paterson learned quickly. He started toying around with designing his own peripheral boards. "I got to know Rod Brock of Seattle Computer when he came into the store periodically. We were selling his boards. Eventually he asked me to consult for Seattle Computer. "They were having problems with a 16K static memory board for the S-100," Paterson continues. "Rod Brock hired me in June 1978, at fifty dollars a day, to make the board work. I left the retail computer store at that time." After a few weeks of consulting, he was made a salaried employee of Seattle Computer. In his computer science classes, Paterson had become interested in operating systems, as well as hardware and compilers. After receiving his bachelor of science degree in June '78, he attended graduate courses off and on for about another year. But he gradually lost interest. "I thought they were too oriented towards theory and not what I needed." At Seattle Computer he at first worked on several projects--redesigning an S-100 memory board, which led to two new memory board designs. Things changed when he attended a local seminar on the Intel 8086 chip in late July 1978. "I gained the respect of Rod Brock and made suggestions. I thought doing something with the 8086 would be neat and Brock gave it the go-ahead. "The first design of the 8086 CPU card was finished by the end of January. We had a prototype by May 1979. We built three boards, but didn't wire them all up. There were both layout and design errors, but we got two prototypes working." Rainy Day Computer. Seattle Computer was toying with the idea of eventually building its own computer, thus the CPU card project. They wanted to diversify, but had no firm business plan. Once a prototype of the 8086 CPU was up and running, Seattle was approached by Digital Research to see if it could get CP/M to run on it. Microsoft, which had moved to the Seattle area in January 1979, wanted to see if some of its programs would work, too. At the end of May 1979, Paterson went to Microsoft to work with Bob O'Rear there. In a week or so, Paterson cranked out all 32K of Microsoft's Basic onto the 8086. "That's pretty remarkable," says Paterson. "Microsoft already had developed several good utilities, like a cross-assembler for use with the PDP-10. There were a few bugs, but basically the CPU worked and the development tools worked." At the 1979 National Computer Conference in New York, Seattle Computer was the guest of Microsoft and Lifeboat. They showed off standalone Basic-86, then the only software for the 8086. Seattle Computer started shipping the product with its CPU card in November, primarily to software developers. In April 1980, Paterson began work on an operating system. "We needed an operating system at Seattle Computer for our own computers and I wanted to do one. So we decided to go for it. "I was waiting for Digital to come out with CP/M-86. I thought they would have it real soon. If they had beat me I wouldn't have taken the trouble. "I had always wanted to write my own operating system. I've always hated CP/M and thought I could do it a lot better." Fast and Grimy. In the spring of 1980, Paterson started working on what would become MS-DOS. By July, he had finished roughly 50 percent of the operating system and called it QDOS 0.10 (for quick and dirty). He quickly found a bug and it became QDOS 0.11. "Step one was to write down what CP/M-80 did. Step two was to design a file system that was fast and efficient." One of the significant differences between MS-DOS and CP/M-86, when it finally appeared, was the file management system. CP/M usually provides a window to no more than 16K or 32K. With MS-DOS, the entire file is available. Paterson created QDOS's file management module using the same method found in standalone Basic-86. "I'm into bottom-up programming. You know that you're going to need certain functions later in the program. I build tools on which to make the next layer. "When you're programming top-down, it's stepwise refining going from general actions to smaller actions. With my method there isn't a lot of diagramming. Bottom-up programming is definitely legitimate, it just doesn't get a lot of press." By the end of August 1980, QDOS 0.11 worked well and was being shipped. It didn't stay QDOS very long, and not many copies were distributed. For the much improved update, Paterson worked hard to include all the necessary features of a complete operating system. "There was an assembler, resident in the operating system, and debugging, but no editor. I wrote the quickest line editor I could imagine--quick in how fast I wrote it, two weeks. "I was aghast," says Paterson, "when I heard that IBM was using it and not throwing it out the window." Eighty-six on Cue. In December 1980, Paterson and company came out with 86-DOS, 0.33, which had significant improvements over QDOS. "86-DOS reflected pretty much everything we had learned so far. Just about the only thing it didn't have was variable sector record sizes. The assembler, originally written on the Z-80, was made faster. We also made some changes in the system calls. It was a pretty polished package when it was released." Starting at the end of 1980, Seattle Computer sold 86-DOS to OEMs (original equipment manufacturers) and other companies like Microsoft. "They [Microsoft] paid us a flat fee. It was not a per-copy royalty, but per OEM. Part of the contract said we couldn't ask them who they were selling it to or planning to sell it to." In early 1981 the IBM Personal Computer had not yet been announced, but rumors were flying about Big Blue's micro. "We all had our suspicions that it was IBM that Microsoft was dealing with, but we didn't know for sure." 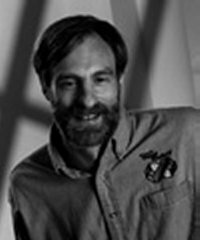 Around April 1981, while he was doing some internal changes on 86-DOS--modifying system calls and including error handling for hard disks--Paterson decided to quit Seattle Computer. In May, he went to Microsoft to work full-time on the PC-DOS version of 86-DOS. "The first day on the job I walk through the door and 'Hey! It's IBM,' " says Paterson, grinning impishly. "I worked at Microsoft a neat eleven months. In May, June, and July I worked on things I hadn't quite finished, refining PC-DOS." International Business Machinations. This was the beginning of an eleven-month hurricane. Almost daily, Paterson shipped stuff to Boca Raton for IBM's approval, and IBM would instantly return comments, modifications, and more problems. "They were real thorough. I would send them a disk the same day via Delta Dash. IBM would be on the phone to me as soon as the disk arrived." Paterson pauses and winds up. He's remembering one request that clashed violently with his view of the project. "IBM wanted CP/M prompts. It made me throw up." But when IBM asks, you comply if you're a lowly programmer, and that is what Paterson did. He finished PC-DOS in July, one month before the pc was officially announced to the world. By this time, 86-DOS had become MS-DOS. "Microsoft wanted to own it--pay all monies now and take it off Seattle Computer's hands. Both companies realized a good deal when they saw it. Seattle Computer really didn't have the marketing clout of Microsoft. "So on July 27, 1981, the operating system became Microsoft's property. According to the deal, Seattle Computer can still see the source code, but is otherwise just another licensee. I think both companies were real happy. The deal was closed just a few weeks before the pc was announced. Microsoft was quite confident." Paterson pauses. "Selling it was the right move. Seattle Computer is doing good without it. The timing was appropriate. I was invited to sit in on the meeting between Rod Brock and Paul Allen. I was flattered." Is There Life after DOS? After the initial version of PC-DOS, Paterson went on to other programming tasks at Microsoft. He worked on an 8086 version of Microsoft's Basic compiler. Paterson is like many programmers in the industry. Sure, he likes elegance. Sure, he likes simplicity. Sure, he likes to make things easy for the user. But what he likes more than anything else in a program or system is speed. "I love assembly language. I'm a speed freak, especially with mathematical routines. If there's a loop that you want to repeat five times, I'll just rewrite the line that many times. Bam, bam, bam, woosh! The 8086 does normal loops real slow." Paterson, still with Microsoft, did some consulting for Seattle Computer that fall, working on a RAM card for the IBM pc. Soon after he finished, he heard that Microsoft was working on a similar project. "It was a real thrill to design a card for my employer's competitors. Microsoft was not too upset. They didn't chop my fingers off. By March 1982, Seattle's board had become quite popular. It came out months before anyone else came out with a multifunction board." Late in 1981, Paterson and Microsoft got the word that IBM was looking for a 1.1 update. In November, he was made technical product manager of MS-DOS. He and his group delivered the initial version of 1.1 at the end of the year, a few days early. Then the Boca Raton deluge came. "The whole process drove me crazy. A lot of bugs--PTRs [program trouble reports] -- kept dribbling in and IBM would make a phone call a day. It really drove me nuts. I felt like a puppet on an IBM string." Not a man to burn his bridges, Paterson left Microsoft on good terms and returned to Seattle Computer to work, at first, on Seattle's floppy disk controller. Wrong-Way Paterson. Seattle Computer was doing quite well. Paterson had owned 10 percent of the company since 1979, and had been an officer and member of the board. Achieving such a position at Microsoft was unlikely. "It was not what was wrong with Microsoft, but what Seattle Computer had to offer. At Seattle, I'm director of engineering. Hey! That's really motivating. It was the basis for my moving back. I was a little irritated with Microsoft, mainly having to work with IBM. Microsoft recognizes talent. If somebody complains, they try to move them around." Paterson moved himself, though, out the front door. At present, he and Seattle Computer are "catching up." They have new S-100 products in the works and will have "new IBM stuff" soon. "We're working on our expansion cards, making them with four functions instead of just two. We want to catch up with those four function guys. We're also working on a new enclosure for the Gazelle. "I have the urge to do another operating system--to see if, under the circumstances, I couldn't do it better. I don't think I will, though, not at Seattle Computer. I don't have the time. "Currently, my job does not include designing software, though I consider myself a software designer. I can picture all kinds of neat things--combined packages. Memory's cheap these days and it should be possible to have a spreadsheet, word processor, database, and more at fingertip control in one package. "Still, the 8086/8088 looks like it for a while. It'll go through a software jump; it hasn't caught up with the Z-80 yet." Speed Racer. When far from the world of programming and corporate politics, Paterson is something of a race-car nut. He codrives a Mazda RX-2 in pro rallies. "The car has a roll cage and we wear helmets and all that. I have an RX-7 and, yeah, I'm kinda into cars." Paterson is still looking for that elusive something. Independently minded, he seeks complete freedom. He doesn't want to work for someone else all his life. More properly put, he doesn't want always to be doing someone else's work. Some year Paterson would like to start his own company. When his Seattle Computer stock is worth enough, he just may sell it and go off on his own. "Don't worry, the boss knows. Rod Brock said to me, 'Tim, in a few years you'll go.' There is the potential that I'll go all the way with Seattle, but I just don't know. Small companies that make it either become big or become part of a big company." For the moment, Paterson is just another brilliant programmer. He's happy, but a little sad sometimes. "Who cares who wrote the operating system?"